More than 77 percent of people own a smartphone.1 The average person checks their smartphone 46 times a day, with people under the age of 24 checking it an average of 74 times a day.1 We check it while we’re waiting in line and during our leisure time, whether we’re scrolling through social media, reading emails or getting up-to-date on the latest news. These apps not only offer ideas for your next remodel or home décor project, some of them even give you a preview of what your home may look like once it’s finished. The Houzz app is the number one app for home design and it’s no wonder; the app gives you access to all the inspiration, blogs and design ideas from the Houzz site on your phone or tablet. The app features View in My Room 3D, which allows you to view products in your home before you buy. Just take a photo of the space and a 3D version of the product will appear. Browse products, save photos of designs you’d like to view later and connect with local professionals in your area. Whether you’re gathering ideas for your next renovation and décor project or you’re just browsing, the Houzz app will satisfy all your design needs. Make sure the photos, shelves, mirrors and other artwork you hang are even and aligned with this helpful app. It’s an all-in-one tool kit that features a plumb bob, surface level, bubble level bar, ruler and protractor. No need to purchase these tools separately; just hold your smartphone up to the wall and the app will take care of the rest. If you’re thinking of changing the color scheme of your home or want to find the right shades for lamp shades, rugs or throw pillows to match your vintage sofa, the Color911 app provides pre-selected color palettes to match any color scheme. Take a photo of the room or the furniture and the app will create a custom palette full of complementary colors. Write notes about your palette and organize it all into folders to share with family, friends or your design professional. Are you a homeowner who is thinking of selling? If you’re preparing to sell, you know there are a lot of tasks to complete before putting your home on the market. These apps help you manage your to-dos so you can list and sell your home more efficiently with fewer distractions. Use the DocuSign app to complete approvals and agreements in hours—not days—from anywhere and on any device. Quickly and securely access and sign any documents. The benefit to using the app (over your desktop computer) is you will receive push notifications when a document is waiting for your signature and you can view and organize all your docs on-the-go. Using the easily downloadable app, receive and sign documents for free. You can receive and sign documents for free, but will need a paid account to send documents; pricing starts at $10 a month. (iOS, Android, Windows, Web). Not ready to buy a home just yet? 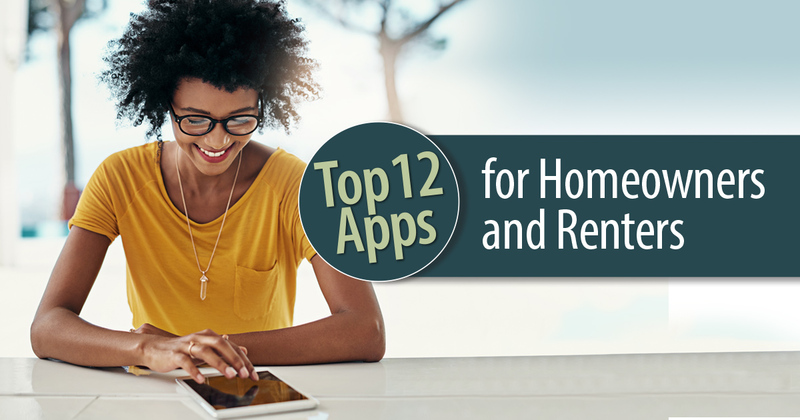 These apps will help you get into the perfect rental while you save money, build a budget and get on track for homeownership. When you’re ready to buy, there are several apps that can help you stay on top of the process. Whether you’re browsing online at different neighborhoods and homes and can’t seem to remember where all your saved data and information went or you want to save an important task or a neighborhood or listing clipped from the Web, these apps help you keep it all straight. Ready to move beyond the app? 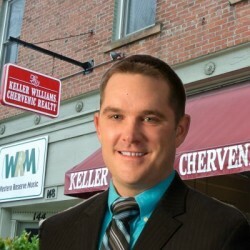 If you’re thinking of buying or selling your home, or know someone who is, keep us in mind because we’re happy to help!